If left together, lamb ribs roasted is one of the easiest and most delicious ways to prepare a rack of lamb. 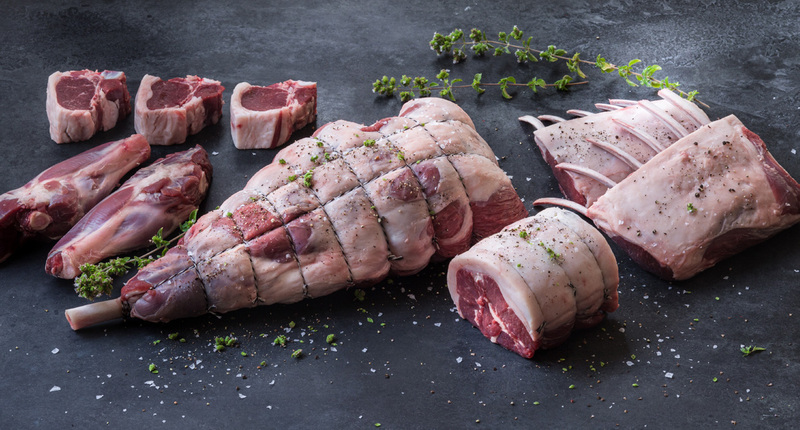 Served as grilled juicy chops, a tender roast or your own special creation, lamb presents a delicious variety of options that will delight your entire family at any meal. 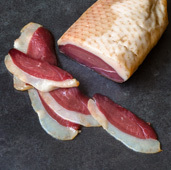 It’s perfect versatility and flavor lends itself to many different cuisines. 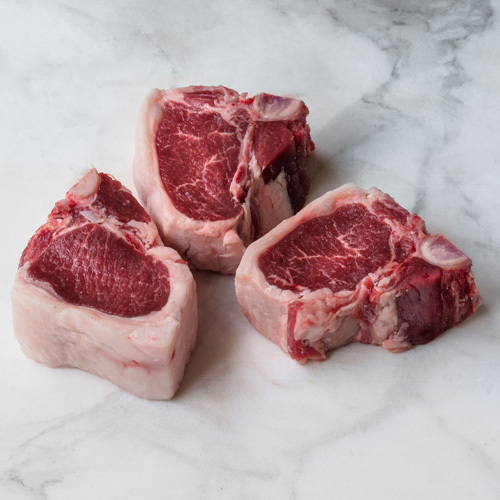 Our lamb is carefully selected in order for you to experience the freshness, with its unique and lingering flavor. 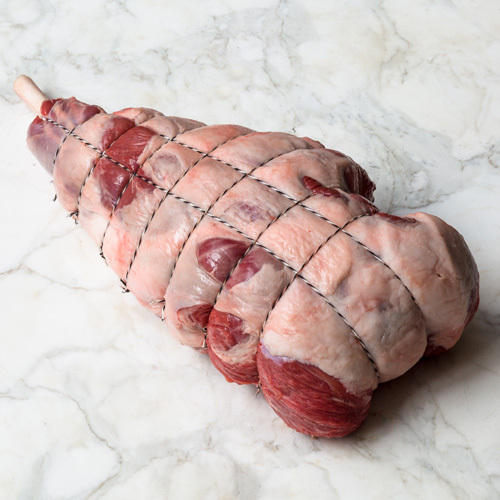 Harvesting lamb at the optimal age, while the structure is fine and compact, gives a high degree of tenderness and a “blushy” nature that contrasts beautifully with the white crystalline fat marbled throughout. 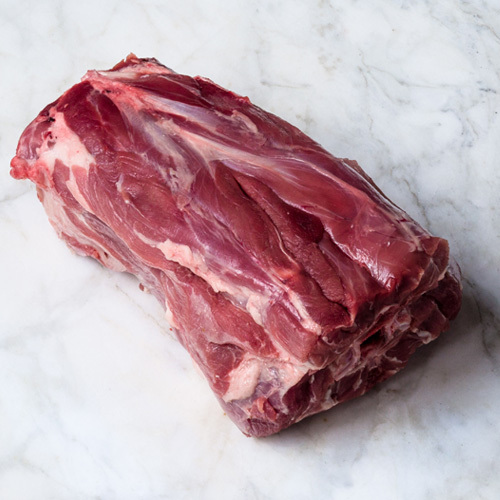 We offer our traditional cuts, French Lamb Roasts are available plus we also make our own Moroccan-style Merguez sausage. 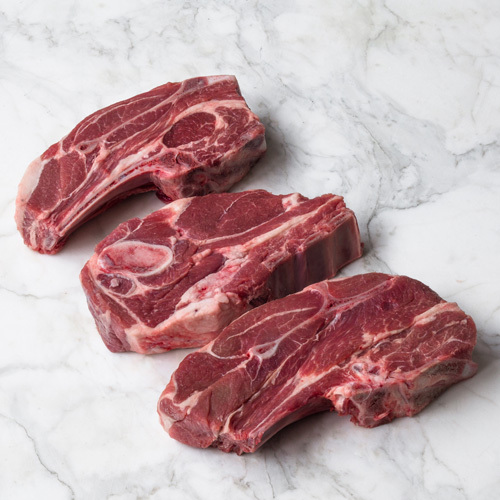 Lamb is naturally lean, tender, mild-tasting a great addition to any meal occasion. Tip Tie two racks together and stuff with lamb sausage for an even more impressive "crown roast"
Cut perpendicular to the spine, the lamb rack comes from the front portion of the loin, just behind the shoulder. 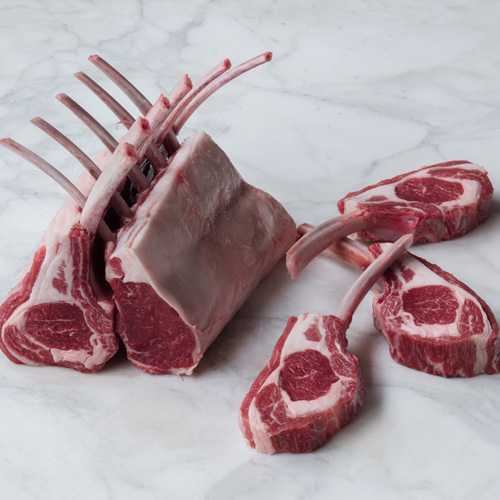 Usually sold as a whole rack, or chops the lamb rack works really well lightly seasoned and quickly cooked over high heat. 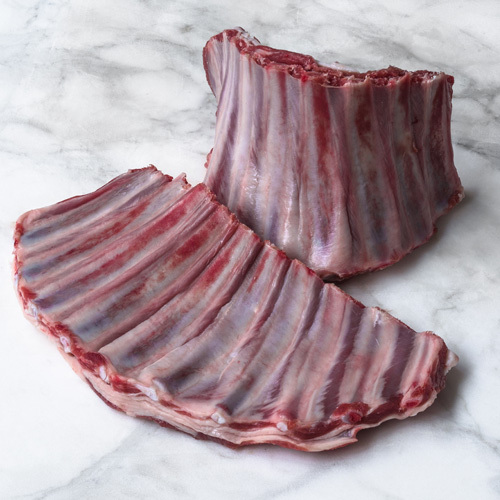 Removing all of the meat from the bones (frenched lamb rack) gives an elegant presentation. Thank You Bon Appetit !